1) (Earl of Glasgow). Quarterly, 1st and 4th, or, on an eagle displ. with two heads gu. as a coat of augmentation, 2nd and 3rd, per bend embattled ar. and gu., for Boyle; over all an escutcheon or, charged with three bucks’ horns gu. for the paternal coat of Boyle of Kelburn. [The present (6th) earl bears quarterly, 1st and 4th, grand quarters counter-quartered, the above quartered coat and escutcheon of pretence; 2nd, grand quarter: ar. on a saltire sa. an annulet or, stoned az., for Maxwell of Pollok; 3rd, grand quarter counter-quartered: 1st and 4th, gu. a fess chequy ar. and az., for Lindsay; 2nd, or, a lion ramp. gu. debruised by a ribbon sa., for Abernethy; 3rd, gu. a fess erm., for Crawford; 4th, grand quarter counter-quartered: 1st and 4th, or, a chev. chequy sa. and ar. betw. three water bougets of the second, for Ross; 2nd, gu. three crescents ar. a bordure of the second charged with eight roses of the first, for Melville; 3rd, ar. a fess gu. betw. three hunting horns sa. stringed of the second, for Forrester.] Crest—An eagle displ. with two heads, per pale ar. embattled ar. and gu. Supporters—On the dexter side a savage ppr., wreathed about the temples and loins vert, holding in the dexter hand a branch of laurel ppr. ; on the sinister, a lion per pale embattled ar. and gu. Motto—Dominua providebit. 2) (Shewalton, co. Ayr). Quarterly, 1st and 4th, or, an eagle displ. with two heads gu. ; 2nd and 3rd, per bend embattled ar. and gu. ; over all an escutcheon or, charged with three stags’ horns erect gu., two’ and one. Crest—An eagle displ. with two heads per pale embattled ar. and gu. Motto—Dominus providebit. 3) (Earl of Cork and Orrery). (Viscount Shannon. Hon. Francis Boyle, 6th son of the first Earl of Cork, was so created 1660; extinct 1740). (Viscount Blessington. Murrough Boyle, nephew of the first Earl of Cork, was so created 1678; extinct 1732). (Earl of Burlington. Richard, second Earl of Cork, was so created in the Peerage of England, 1674; extinct 1753). Per bend crenellee ar. and gu. Crest—Out of a ducal coronet or, a lion’s head per pale crenellee ar. and gu. Supporters—Two lions per pale crenellee, the dexter gu. and ar., the sinister ar. and gu. Motto—God’s providence is my inheritance. 4) (Earl of Shannon). Per bend crenellee ar. and gu. a crescent for diff. Crest—Out of a ducal coronet or, a lion’s head erased per pale crenellee ar. and gu. Supporters—Two lions per pale crenellee, the dexter gu. and ar., sinister ar. and gu. Mottoes—Vivit post funera virtus; and Spectemur agendo. 5) (Middlesex). Per bend crenellee ar. and gu. Crest—Out of a ducal coronet or, a lion’s head erased per pale crenellee ar. and gu. 6) (Hay Castle, co. Hereford). Same Arms and Crest, a cinquefoil for diff. 7) (Kentish Town, co. Middlesex; granted 24 Jan., 1569). Per bend crenellee gu. and ar. 8) Per fesse crenellee gu. and ar. 9) or O’Boyle – (an ancient Milesian family). Or, an oak tree eradicated vert. Crest—A human heart gu. betw. a cross and sword in saltire ppr. 10) (a sept in Ulster of the race of Cinel Conaill, deriving their name from Baoighill, chief of the Barony of Boylagh, co. Donegal). Or, an oak tree eradicated vert. Crest—A sword point upwards ppr. and a passion cross or, in saltire surmounted of a heart gu. Once source, Patronymica Britannica, by Mark Anthony Lower, states the surname Boyle or O’Boyle has Norman origins and it a corruption of the surname Noville, as it was written Boyvill or Boyvile in the 1200s AD. Another source, Dictionary of American Family Names, asserts Boyle is an Irish surname that is an Angliziced form of the Gaelic name O’Baoithghill”, which means descendant of Baoithgheall, a personal (first) name that derives from the words baoth (rash) and geall (pledge). It literally means the rash person (not a physical rash of the skin, but a person who makes hasty decisions). Another source claims its derives from the Irish word “baigell”, which means “having profitable pledges”. Another source states it derives from the French name Boileau, meaning “water wood” or Boille, which was a nickname or sobriquet for a small, rounded person. In Scotland, the name may have derives from several locales such as Boyville, Beaville, and Voeville. Clan Boyle is a Scottish clan from the Lowlands in the North Ayshire district. The name derives from Beaville, bear Caen, a sorman town. Common spelling variants and names with related etmological/historical origins include Bolus, Boiles, Billows, Bouil, Boyall,Baole, and Boghill. The last name ranks Bernard ranks 802nd in popularity in terms in the United Status as of the 2000 Census. The name is particularly common in Pennsylvania, New Jersey, Massachusetts, and New York. The name Boyles ranks 3,059th and O’Boyle ranks 9,195th. The surname is more popular in England where it ranks 426th and in Ireland where it ranks 90th.It is most dense in Northumberland, Lancashire, and Durham. In Ireland, it is most dense in Donegal, Louth, and Meath. It ranks 360th in Australia, 794th in Canada, 45th in Northern Ireland, and 104th in Scotland. The earliest known bearer of this last name was David de Boivil in 1164 AD. The Ragman Rolls of 1926 AD list Robert de Boyvil and Robert de Boyvil. In 1275 AD, Richard de Boyville held the lands of Kelburn in Ayrshire. 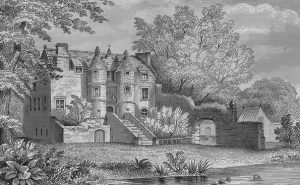 In 1291 AD, Henry de Boyville was keeper of Dumfries Castle, Wigtown Castle and Kirkcudbright Castle. A one Henry Percy Botle was born in Shepton Mallet, Somerset in 1450 AD. He was the father of Eleanor (Hill). A one John Boyle was born in 1420 and was the father of James. James was born in 1446 in Herefordshire. His son was Lewis who was born in 1465. He married Elizabet Russell and had a son with her named Roger. The book Genealogy of Irish families by John Rooney has a chapter on the O’Boyle family. It states the family descends from Milesius King of Spain, through the line of his son Heremon. Rooney makes this dubious claim many times in his book for other families, and I use the word dubious because it is likely Milesius was a mythical character. 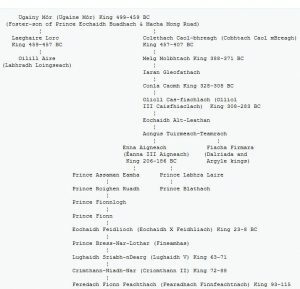 He states the family was founded by Conal Gulban, the ancestor of Northern Hy Nials, and son of Nial of the Nine Hostages, King of Ireland, in 379 AD. It was anciently written Buildhill O’Donell, whicvh the former meaning benign and the later meaning destroyer. The name was derived from Braoigill or Buidhill, Chief of Boylagh. The title of the chief was Lord of Boylagh, and the lands of the sept were located in modern day Donegal County. The author states “The O’Boyles were Chiefs of Clan Chindfaoladh, of Tir Aininireach and of Tir Boghaine—territories which comprised the present baronies of Boylagh and Banagh; Crioch Baoighilleach, or the country of the O’Boyles, gave name to the barony of Boylagh; Tir Boghaine was the barony of Banagh.” The family lived at Loughros Bay, located in the barnoies of Banagh and Boylagh. They lost many lands in the confiscations of Ulster. Another source claims they were first found in Donegal in the provice of Ulster, also known as County Tyrconnel, and that they descend from King Maoldun Baoghal of the Heremon line of Kings of Ireland. The Scottish branch was firm found in Ayrshire in the Strathclyde region where they settled in Kelbrun in 1140 AD. Justice of the Peace and D.L. born in 1805. In 1820 he married Mary Frances, daughter of Sir Robert Dalrymple, and had children with her: David, Robert Elphinstone (Major and Commandant of the 11th Price of Wale’s Own Bengal Lancers, born 1837), Alexander James (born 1842), Elizabeth Magdalene Graeme, Mary Helen, and Helen Jane. The family bore Quarterly; 1st and 4th, or, an eagle displayed with two heads gules; 2nd and 3rd, per bend embattled argent and gules over all an escutcheon or, charged with three stags’ horns erect, gules, with a crest that is an eagle displayed with two heads per pale embattled argent and gules. They are seated at Shewalton, Dreghorn, and Ayrshire. Burke’s other famous book “Peerage and Knights” also discusses this last name. Sir Edward Charles Gurney Boyle was the 3rd Baronet of Ockham, Salehurst, in Sussex. He was born in 1923 and succeeded his father in 1945. Burke traces the lineage back to Richard O’Boyle, of Lisnakirka, bear Castlebar in county Mayo who was from a family that long resided in the barony of Carra. 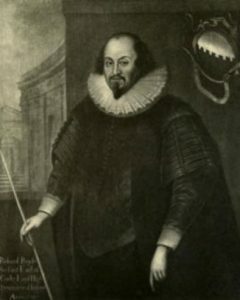 He has a son named Patrick Robert O’Boyle, of Grove House and Highdate. He was born in 1780 and was a Lieutenant in the Royal Army. 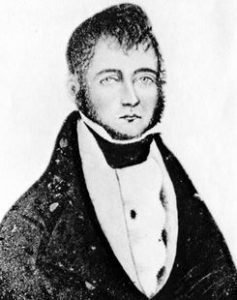 He married a woman named Celia in 1827 and left a son with her named Edward. Edward married Elizabeth, daughter of James Gurney of Culloden, and had two sons with her: Edward and James. 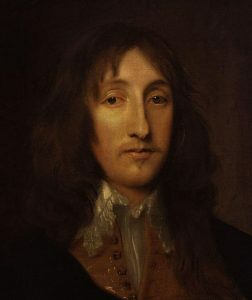 The son Edward, became Sir Edward Boyle, the 1st Baronet of Ockham, Salehurst, Sussex and was K.C. F.R.G.S, and F.S.I. He was a Member of Parliament for Taunton in 1609. H was born in 1848 and created a Baronet in 1904. In 1874, he married Constance Jane, daughter of William Knight of Kensington Park Gardens, and had issue with her, including the 2nd Baronet, Sir Edward. Edward was a Justice of the Peace and a High Sheriff in 1927. In 1929, he married Beatrice, daughter of Henry Greig of Belvedere House in Kent, and had three issue with her: Edward Charles Gurney (mentioned at the beinning of this paragraph), Richard Gurney (born 1930), and Ann Constance Beatrice (1826). The family bore a coat of arms blazoned as follows: Per bend raguly gules and argent two staves raguly bendwise, one in chief and one in base, counterchanged. Crest—In front of a lion’s head arg. a staff raguly fesse wise gu. Motto—God’s providence is my inheritance. A one Felix Boyle for born in 1866 in Ireland. 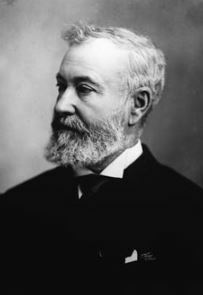 He married a woman named Annie and had three children with her: James F., Bridget, and Mary. Mary was born in 1900 in Pennsylvania. Early settlers to colonial America include 1) Naamy Boyle recorded as being buried in Virginia (James Cittie?) in 1623 and arrived ten years earlier, 2) Christopher Boyle (1645 Virginia), Ann Boyle (1657 Virginia), Elizabeth Boyle (1664 New York), Benjamin and Margaret Boyle (1718 New Hampshire), Balzer Boyle (1761 Pennsylvania), and Henry Boyle (1765 Pennsylvania). The Bernard family motto can be any of the following, depending on the specific branch of the family: 1) Dominua providebit, meaning “The Lord will provide”, 2) God’s providence is my inheritance*, 3) Vivit post funera virtus, meaning “Virtue lives after death”, 4) Spectemur agendo, meaning “Let us be judged by our acts”, 5) Honor virtutis praemium, meaning “Honor is the reward of virtue, or valor”. Famous people with this last name include: 1) Thomas Boyle (1775-1825) who was a Baltimore privareer who fought for the United States during the War of 1812 and also served in the navy officially after the war, 2) Jeremiah Tildford Boyle (1818-1871) who was a general for the Union Army during the American Civil War, as well as prominent lawyer and abolitionist, 3) Ina Boyle (1889-1967) who was an Irish composer, 4) John J. Boyle (1851-1917) who was an American sculptor from New York, 5) Robert William Boyle (1627-1691) who was an Anglo-Irish chemist, physicist, and philosopher and is considered the father of chemistry, and 6) Richard Botle (1574-1644) who was Archbishop of Tuam. There are numerous royal bearers of the name: Richard Boyle (1566-1643) who was 1st Earl of Cook and Lord High Treasurer of London, Richard Boyle (1727-1807) who was the 2nd Earl of Shannon, and Richard Boyle, the 3rd Earl of Burlington, as well as numerous others. 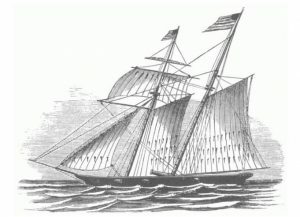 The book Genealogy of Irish families gives one account of Captain Boyle’s exploits: “One of the first and fiercest of the sea fights in the War of 1812 was the engagement between Captain Boyle’s ship, the Comet, carrying twelve guns and one hundred and twenty men, and three British warships, convoyed by a Portuguese man-of-war. The British vessels carried twenty guns, and the Portuguese ship twenty thirty-two pounders. By skillful maneuvering and superior seamanship Captain Boyle separated the three British ships, and then defeated them in detail. Two of these he carried as prizes into Pernambuco, and the other was so badly disabled that it foundered. The Portuguese vessel managed to escape during the night. Shortly afterward Captain Boyle captured the British ship “Aberdeen,” carrying eight guns, and two others of ten guns each. 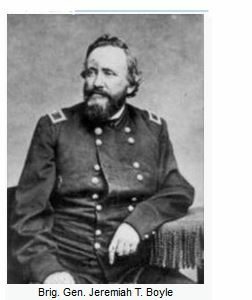 He then sailed for home, and managing to evade the British squadron in the Chesapeake, reached Baltimore”.